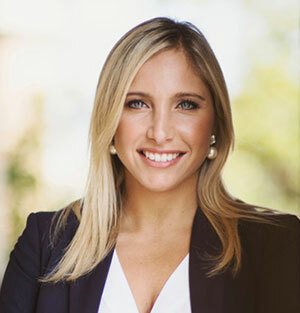 An Orlando native with strong ties to Central Florida, Nicole Rofe’ joins The Orlando Law Group’s team of First Party attorneys, while bringing an added — and much-needed [within the community] — specialization to the firm: Immigration Law representation. Rofe’, who has been practicing law in Orlando and its surrounding regions since 2014, serves clients whose legal needs include immigration, criminal defense, family law, and civil matters. While running her own law firm, Rofe’ built a practice helping those with immigration, first party property claims, judgment collections, family law, personal injury, criminal defense, civil litigation, and business law matters. She began practicing law with the Eighteenth Judicial Circuit Court of Florida as a private registry attorney for dependency cases, termination of parental rights trials, and juvenile delinquency. She was also the judicial assistant to Honorable Linda D. Schoonover, Circuit Judge in Seminole County. Rofe’ also interned in the Orange County Office of the Public Defender, as well as other law firms. Rofe’ earned her juris doctor from Florida A&M University College of Law in 2013, and her bachelor of arts in business management and entrepreneurship from the University of Central Florida in 2010. She resides in Orlando.